Mojalefa Koyana is a Goldsmiths (University of London, UK) trained and qualified Art Psychotherapist. Prior to attaining his MA, Mojalefa worked in South Africa’s arts industry for 12 years as a theatre director, professional performance and visual artist where his work was focused on healing and self-development. He facilitated at Erica House juvenile detention centre (Port Elizabeth), and mostly in marginalised township and rural communities in the Eastern Cape, where his scope included issues of delayed learning and special needs learners in schools. He has 6 years’ experience of similar work with a variety of client groups in deprived urban and rural areas in England, some of which resulted in a documentary project about severe suicidal clients. He also conducted student workshops in the University of Middlesbrough and Newcastle University, and has vast experience in facilitating inter-cultural awareness workshops. 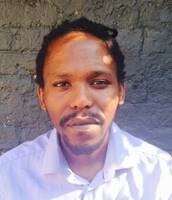 In training at Goldsmiths University, Mojalefa gained clinical experience with children in school settings, where he provided individual art psychotherapy for children facing different mental difficulties (autism, neglect, trauma, sexual abuse) as part of a diverse team of multi-disciplinary professionals. He completed certified short courses specialising in child safe-guarding. His clinical experience later extended to a therapeutic community style, open studio setting in the community for adults with depression, anxiety, suicidal, emotional, personality and behavioural difficulties. After qualifying his MA, Mojalefa was employed into a multi-disciplinary team of professionals in London’s Kensington community who designed and set-up art therapy hubs of intervention for traumatised victims of the Grenfell fire. He provided closed groups for children and open groups for adults. Upon his return to South Africa, Mojalefa returned to his position as co-director of the Intlantsi Creative Development Project in the Ngqushwa municipality, Eastern Cape. There he is designing and delivering therapeutic arts activity facilitation training to unemployed young adults in remote rural villages, a beneficiary area suffering some of the worst public health and education delivery, poverty related psycho-social difficulties in the country. It is a ground-breaking community development initiative which aims to build a provincial platform for contextually relevant, formally recognised arts therapy training.